Take in the most spectacular views around St. Thomas and enjoy access to some of the island's best architecture, beaches, shopping, restaurants, and drinks on a private, guided tour. 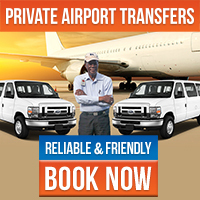 Your tour includes convenient and comfortable transportation to the best destinations on the island, offering an array of sights, sounds and splendors. Choose your own itinerary or ask your guide for recommendations. Stop at some of the world's most stunning viewpoints for breathtaking views of Charlotte Amalie, Magens Bay and the surrounding islands. 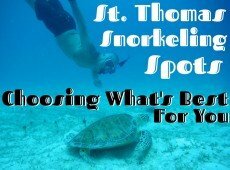 Visit the best beaches in St. Thomas for sun, snorkeling and fun. Sample the world famous banana daiquiri at Mountain Top and take a rest at historic Drake's seat. Or shop the duty free boutiques on Main Street or at the Shops at Yacht Haven Grande. The choice is yours and a friendly, professional driver will serve as your local guide. 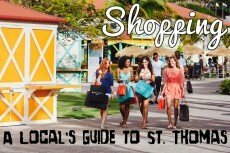 It's the easiest way to see everything St. Thomas has to offer, with private transportation and customizable convenience. Book now for an unforgettable guided tour! Service available for hotel and vacation rental guests, local residents, and passengers from the following cruise lines: Royal Caribbean, Holland America, Carnival, Princess, Celebrity, Disney, Cunard, and MSC. Flexible scheduling for cruise ship passengers when passengers notify the tour operator at least 24 hours in advance. Tour contact details provided with your booking confirmation email. Service available for hotel and vacation rental guests, local residents, and passengers from the following cruise lines: Royal Caribbean, Holland America, Norwegian, Carnival, Princess, Celebrity, Disney, Cunard, MSC and more!